Chinese Government Scholarship is a scholarship set up by the Chinese government to facilitate students and scholars from all over the world to conduct their study and research at Chinese universities. The scholarship aims to increase the mutual understanding and friendship between the people of China and peoples from the rest of the world, and to develop the communication and cooperation between China and the rest of the world in the field of Education, Technology, Culture and Economics. 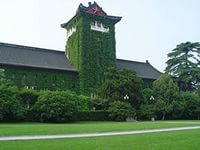 Nanjing University was founded in the year 1902 and it is well-known for its strong academic portfolio and outstanding professors. Besides, Nanjing University is one of the top 5 universities in China under the direct supervision of Ministry Education of China. 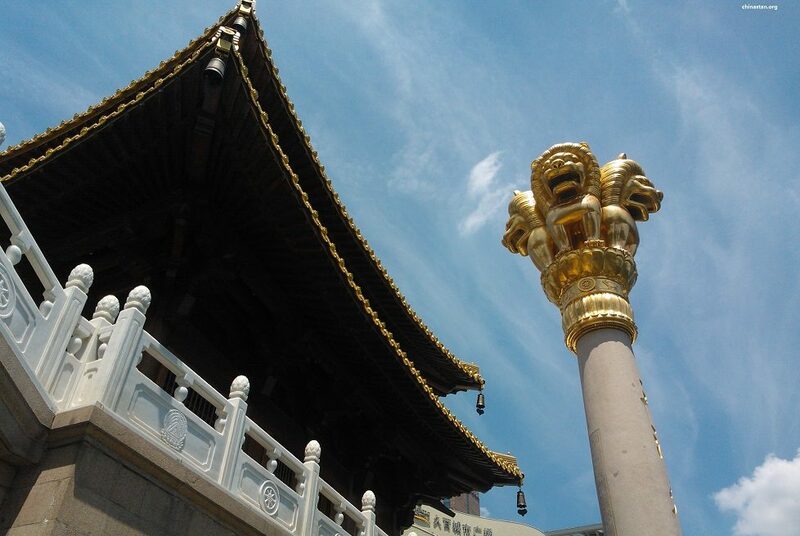 Nanjing University is located in the heart of a historical city, Nanjing. It is surrounded by a beautiful scenery, picturesque environment and accessible transportation. Today’s NJU consists of 3 campuses, Gulou, Pukou and Xianlin. Up to now, 28 Schools and Departments have been developed in Nanjing University. Currently, it hosts over 30,000 students, offering 86 undergraduate programs, 27 master programs and 23 professional master programs, 43 doctoral programs and 1 professional doctor programs, and 38 postdoctoral research stations. A master degree takes 3 years while a PhD degree takes 3 to 4 years. Nanjing University adopts a credit system, which requires students upon their graduation to acquire the total number of credits for the degree and successfully pass the oral defense of the Graduation Paper. STUDENT TYPE: Master undergraduate and PhD candidates. 1. Applicants should be non-Chinese citizens and be healthy both physically and mentally. l Applicants for master degree must have acquired their bachelor degree, and should not be older than 35.
l Applicants for PhD degree must have acquired their master degree, and should not be older than 40. ※ For the graduates to obtain their degrees in 2015, they should submit a pre-graduation certificate to ensure that they have the competence to complete their study and acquire the degree by July of 2015. 3. Applicants must be willing to learn Chinese. If application is successful, students should accept education in Chinese language and pass test for Chinese language level assessment in the required period. ※ Students who have been granted for other Chinese scholarship or funding（2015-2016） are not applicable and accessible to this scholarship. Science: new HSK level 4; Liberal Arts: new HSK level 5. Science: new HSK level 5; Liberal Arts: new HSK level 6. Applicants whose Chinese level is below the above-mentioned standard could also apply for the scholarship program if applicants are excellent in their research field. Once their applications are approved, they must take one-year language course and pass a required test before they start their major studies. All scholarship students can apply for academic degrees only when they reach the requirement of Chinese language level, credits and the thesis before graduation. Length of Schooling is 3 years for Masters, and 3-4 years for PhDs. Scholarship students who do not meet the language requirement should take Chinese language course for 1 year, during which students can still get the full subsidy of scholarship. The scholarship is awarded each month throughout the full year, including the summer and winter holidays. Scholarship students who study on full time at Nanjing University should obey the rules and regulations of school, as well as the Codes for International Students in Nanjing University. Study, research, and thesis writing should be finished in the university. No long-distant education is permitted. Transferring school is not allowed either. Once suspended from school, the qualification of the scholarship students will be cancelled and will not be regained. Principally, students are not allowed to leave school, including visit parents, referring to learning materials or doing internship during the school year unless during the vacations. If there is an emergency, students can leave school with the permission notice of their tutors and departments along with the approval of China Scholarship Council. Those students, who violate related regulations or leave the university during the school year without any permission, shall be stopped and cancelled their qualifications of this Scholarship. According to the regulations of China Scholarship Council, all the scholarship students should take part in the annual assessment and evaluation of the scholarship qualification. The time for assessment and evaluation is from March to May every year. After the assessment, those who are qualified can keep their scholarship; whereas the unqualified will be ceased or cancelled from the scholarship. 1. Allowance: Grantee will be provided a monthly stipend of RMB 1,700 and RMB 2,000 for masters’ degree students and PhD degree students, respectively. 2. Tuition: Fees for registration and tuition will be waived. 3. Health Insurance: A health insurance will be provided to the grantee by CSC for the entire duration of his/her scholarship. 4. Accommodation: A free accommodation will be provided to a grantee in the International Dormitory of the University for the entire duration of the scholarship. ※ Those who have been studying in China for more than half a year before the admission will no longer be issued the one-off settlement subsidy. Applicants should log on the on-line application system to do an on-line registration and application（laihua.csc.edu.cn）. After filling in the application form online (Agency No. for Nanjing University is 10284), applicants must click the “submit” button and print out application form in the application system. After the on-line application is complete, applicants must submit the following documents (all documents in TWO Copies) to the Scholarship Coordinator (address below) before the required date. The submitted documents will not be returned. 5. Certificate for new HSK. 6. Detailed proposal for study and research in China. 7. List of paper published in professional field or scientific research; the copies of representative paper works or abstract of articles (not more than 3 copies). 9. Printed “Codes for International Scholarship Students of Nanjing University” with the applicant’s signature. ※ The above documents must be written in English. Any document written in any other language must be attached with an English or Chinese translation. ※ From September 2013, Nanjing University provides courses taught in English on several PhD programs of some science fields. Applicants who do not speak Chinese could also apply for the scholarship if they master English proficiently. In this case, the applicants should provide the score copy of IELTS (requirement: at least 6.5 points) or TOEFL (requirement: at least 90 points for new TOEFL). We regret that we would refuse your application without any notice if you don’t meet English language requirement mentioned above. Applications are accepted from January 1st 2015 to March 15th 2015. Notification of successful applicants will be posted on the official website of the Institute for International Students of Nanjing University by the end of May 2015. Admission notice and the JW201 form will be mailed in July. School year starts from the beginning of September, 2015. The specific date of registration will be figured on the admission notice.